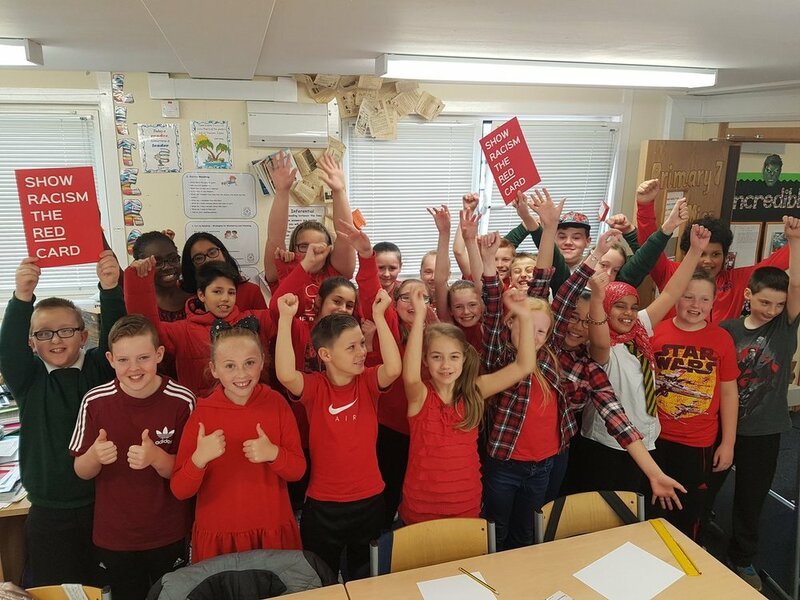 On Friday 6th October 2017, Show Racism the Red Card Scotland hosted their annual fundraising day, Wear Red Day (WRD). For the third year in a row the day was a UK wide success throughout the whole of Scotland. This year, the participation was 3 times greater than last year as a lot more schools took part, including schools as far as the Scottish Highlands. We also managed to get a number of councils to take part as well as local businesses. Aberdeen Football Club also agreed to become the Ambassador Club for this year’s WRD, promoting the event on their social media platforms and on their website. Even one of Glasgow’s iconic landmarks, The SSE Hydro decided to wear red and take a stand against racism!